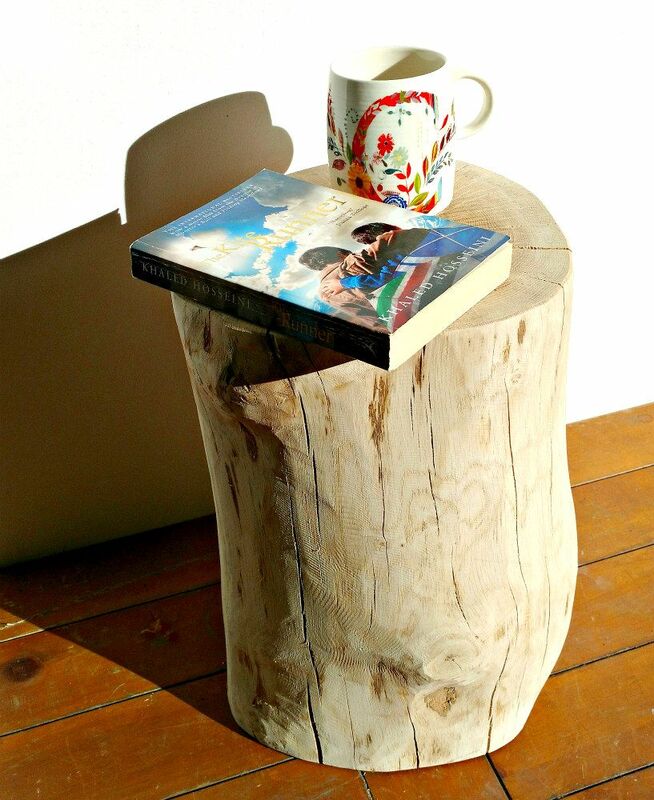 Our peeled English Oak Log Side Tables are a perfect addition to your home. Stand them at the end of your sofa as a coffee table, or pop a pair on either side of your bed for unusual bedside tables. The light, pale wood is ideal for Scandinavian style homes and interiors; removing the bark reveals the natural colouring through the wood, adding a touch of warmth and texture to your room. 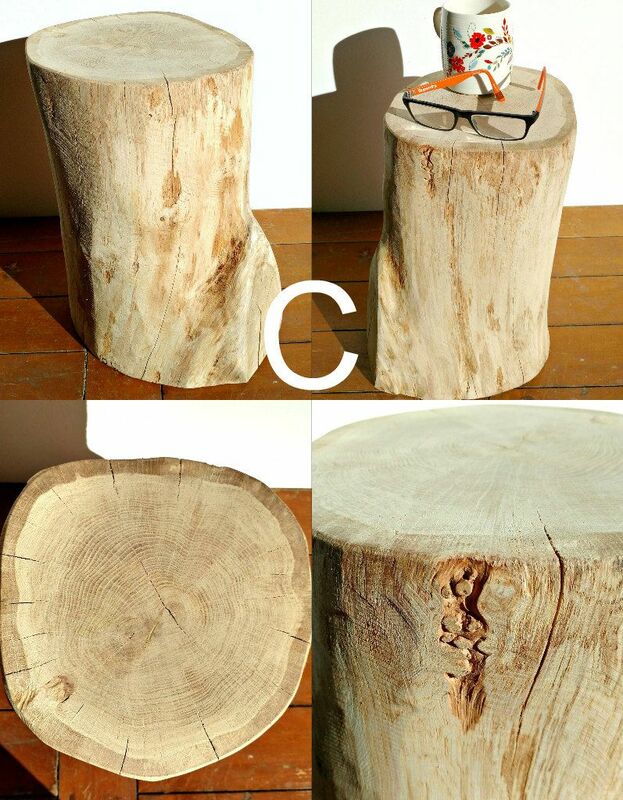 These log 'stump' tables each have a unique personality! Where branches once grew, the knots are evident; the 'wobbly' sides bear witness to the growth habits of the original trees. No two are identical. 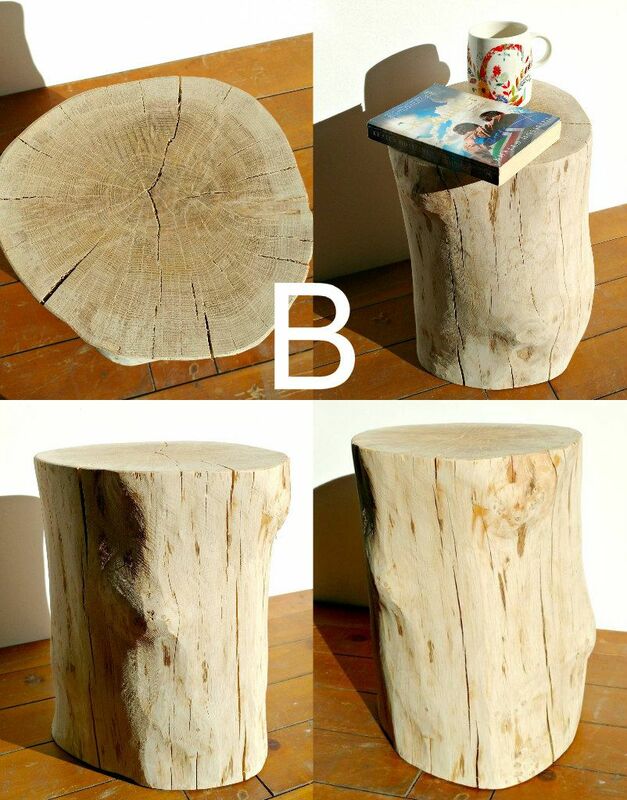 These logs are also handy if you need extra seating every now and again - they can double up as stools! 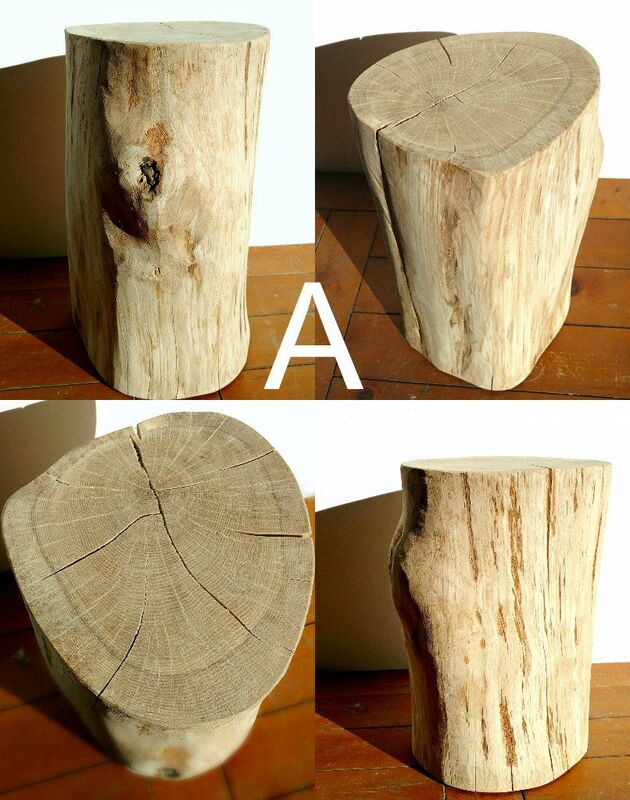 Please choose your favourite table (either A, B, C or D) from the drop-down menu when adding your log to your cart, thank you. Each log is fully dry and hand finished. 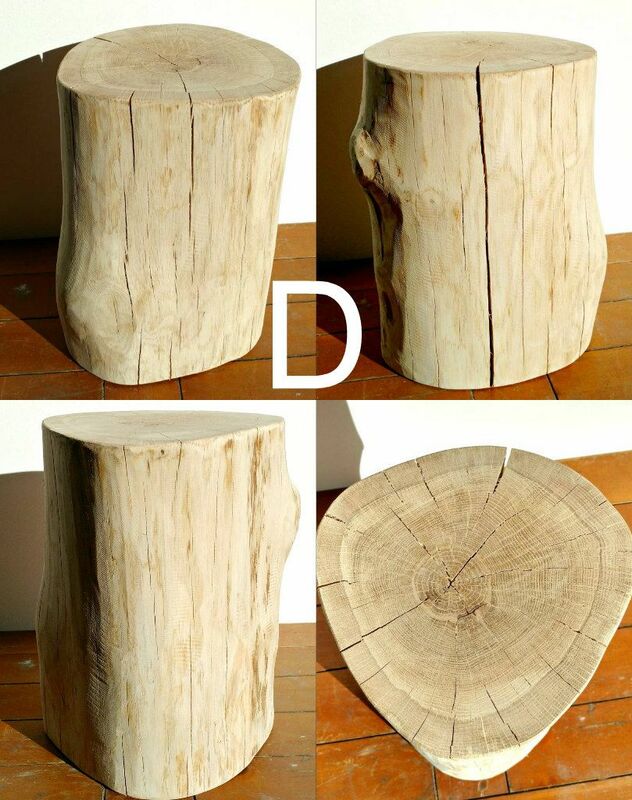 The natural wood is beautiful, however - please be aware that the surface may stain if food or drink is spilled onto it.